Thanks to all that came out to pay their respects and tributes to Kurt...we will miss you brother, but will always keep you near and dear to our hearts! 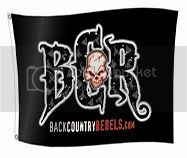 been a while since I have been on BCR, but the turnout in west for Kurts memorial was great. Was wonderful to hear all the stories. Kurt and shell were a great help when my wife and I moved to town, being we both have Minnesota roots, we clicked right away. Always making sure we were both full, sending business to each other. I will miss late summer nights facebook chatting with him about how we are praying for the winter crowd and snow cause the summer people are just not the same. I can honestly say that all of you BCR ers really made him happy. He definately thought of all of you as family.